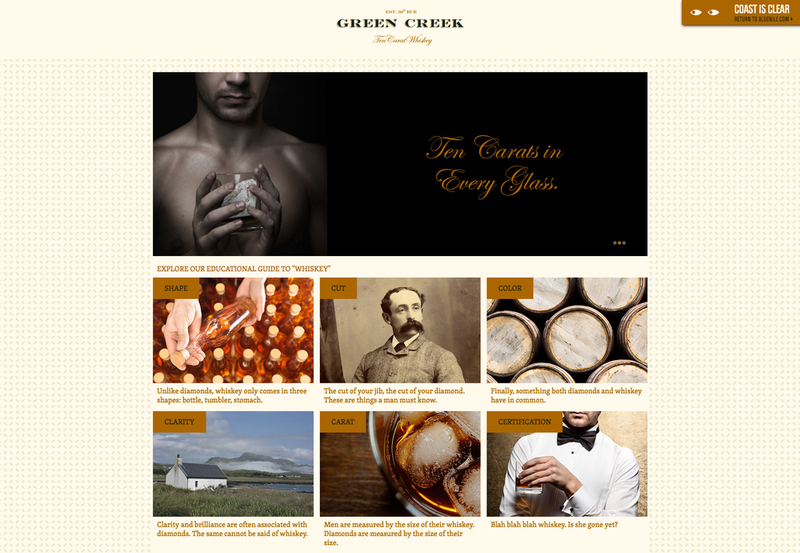 Keeping your diamond-shopping secret can be complicated—you don't want to ruin the surprise with a flagrant diamond website on your screen. The Solution? 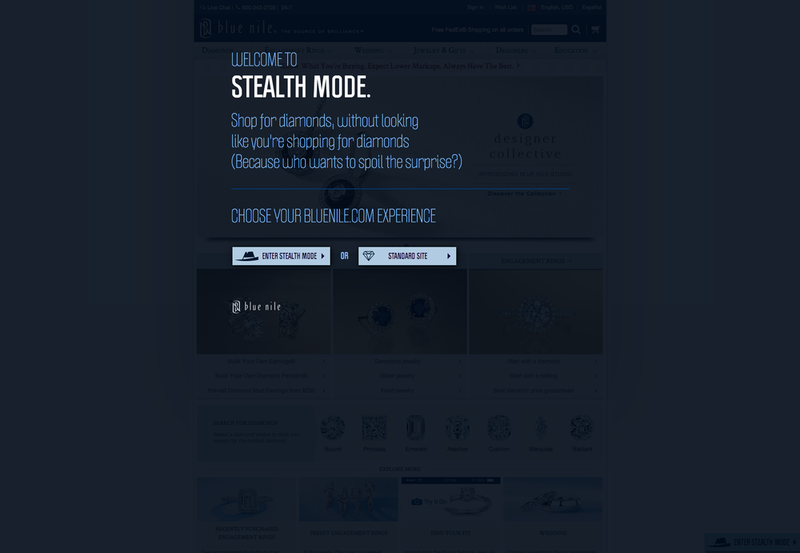 Stealthy but not-so-stealthy shadow companies that appear as general 'men's interest' sites, but are actually re-skinned sections of Blue Nile, the world's leading online diamond jeweler.